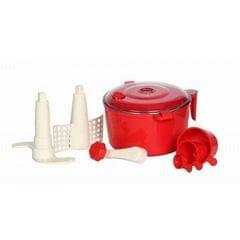 Socheko.Com brought the stylish Roti Maker at best price Nepal. Making a roti is not an easy task, and to complete it well we will have to spend our valuable time and money. Roti Maker with its far improved and advanced technology make it a simple and less time consuming task. Users can now take the advantage of making a perfect roti in circular shape within a little time by consuming less energy. The product is so simple to handle and can also be carried anywhere as the users wish. It will take not more than five steps to prepare a roti in full shape by using this device. Thus we can find this device special in the making. 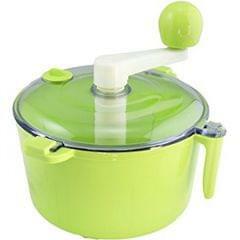 This electric machine is made with stainless steel plates that is of high quality material. The quality and the reliability of the steel used in its makes this machine single out in merits. The both plates used in the roti maker gets quickly heated and thus the roti could be prepared so easily and without much manual work. Roti maker is made of stainless steel and non-sticky material. Beautifully crafted body, easy to handle and carry. Fully electronic device with an indicator light. We have many brands available in our stock like Baltra, prestige, pigeon and other brands in the most beautiful design and colors. Buy the Roti maker at best price Nepal from Socheko.com. Socheko.com is only one online shop of Nepal from where you can only find the genuine and branded item. We give the products to you in the minimum price as compare to other online shop buy the Roti maker product at best price Nepal from socheko.com. . We can deliver the product as soon as possible. In Kathmandu valley we can deliver the product in two hour and for the order of outside valley or Kathmandu we take 1 day to deliver the item. Buy the Roti Maker from Socheko.Com at Best price Nepal and make your life stylist by using our product.